When sixteenth century Spanish conquistadors brought wheat to the New World during their conquest of the Aztec empire, it was to create the sacramental bread necessary to Holy Communion. 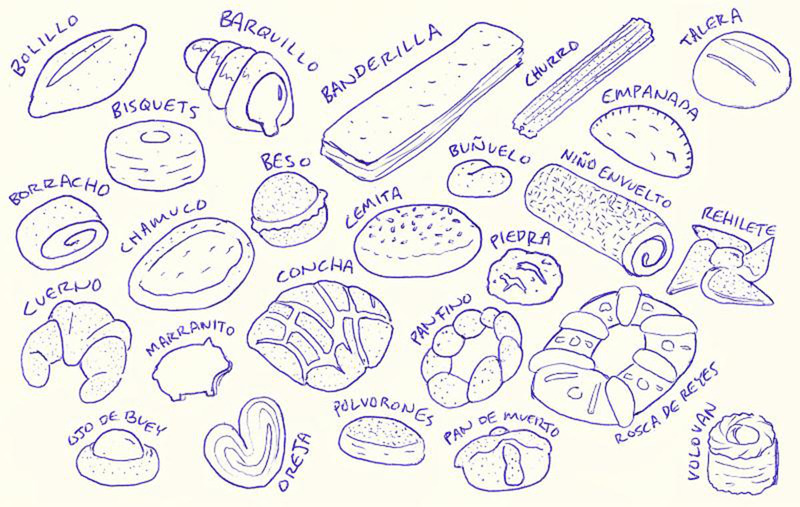 According to Iberia and the Americas: Culture, Politics and History, both Iberians and indigenous people found the taste of the grains initially disagreeable until bakers began improving techniques and enhancing breads with native ingredients like maiz (corn), piloncillo (unrefined brown sugar), and chocolate. During the nineteenth century, French nationals began immigrating to Mexico, bringing with them more European baking techniques and recipes. The union of all these cultures resulted in baked goods that have become a huge part of Mexican tradition-and everyday life. 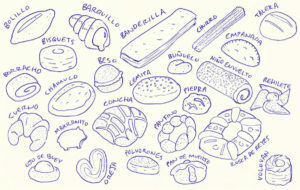 panaderías throughout Mexico and the States-though they are often known by different names depending on the region. This variation on the biscuits of the American South was invented by Chinese immigrants, who added egg and sugar, resulting in a sweet and savory bun with a touch of chew to it. The shape is made by using a donut cutter but leaving the center intact. These are popular for breakfast and still served at Chinese cafés throughout Mexico.